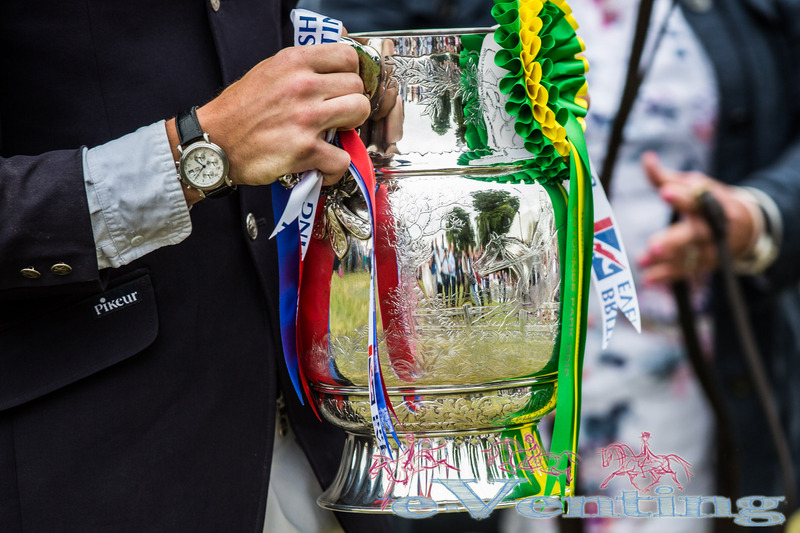 The Topspec Challenge for the Corinthian Cup (its a bit of a mouthful!) is a competition that has interested us at E-venting since we first heard the announcement of its concept. This year saw the first running of this event and with the qualification proviso of having to have been placed in the top 10% of a Novice, Open Novice, Intermediate Novice, CIC1* and CCI1*. Horses can be grades 2-4 but the rider must not have been Intermediate in the five proceeding years. This year, the inaugural running of this class had 66 entries and the dressage marks across the two days of dressage judging were fairly tight. Noah Brook on Deo Volente III led the dressage phase with a stunning 22.5 and it was this mark which he remained on to win the class with the runner up nearly 10 marks adrift. 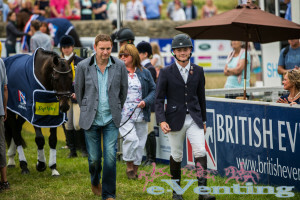 Noah said the preparation of doing the 1* classes at Tattersalls and Chatsworth really helped when coming here to Gatcombe with the pressure and atmosphere especially as he had been leading the dressage in the 1* at Chatsworth and then went on to have two fences down showjumping resulting in him finishing 3rd. From this disappointment he picked himself up to get a double clear at Tattersalls 1*. Noah took over the ride from Piggy French this year when the horse’s owner Paul Crompton offered him the ride. Noah described the offer of being offered the ride as ‘pretty lucky, because I am only 19. It’s been pretty special to have these results this year. The owners are so supportive’. 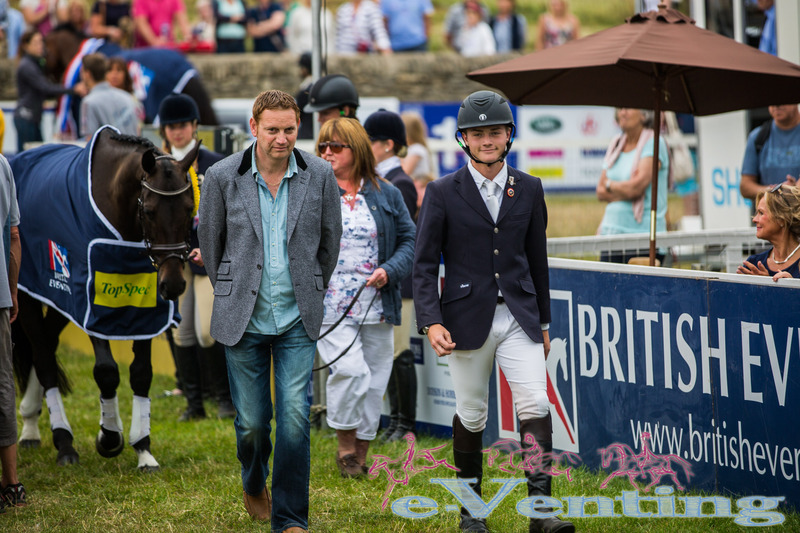 Deo Volante went so well round Gatcombe’s undulations that he finished well inside the time. 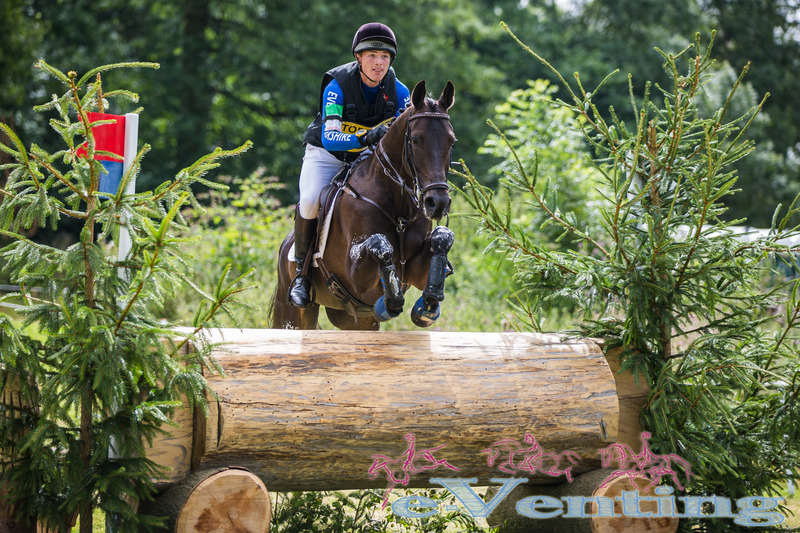 The horse will be heading to Aston to go Intermediate and will have a quiet run for the experience with the long term aim to go to Osberton for the Young Horse 7 year old class which is at CIC2* level so Deo Volante needs his Intermediate qualification runs to go. Noah has not yet ridden at that level yet but in preparation he has been jumping Foxhunter classes. Deo Volante is not a one trick pony and it has been a good week for him with qualifying at Keysoe for the British Dressage National Championships at Novice level. Noah currently trains with Andrew Saywell and has also previously worked for Judy Bradwell. Horses are the future for this young rider, and he is hoping to keep building on his current young horse results and move up the grades with Deo Volante. Noah’s background is not a traditional horse one with his parents being dairy farmers and not having a horse background in Yorkshire. He did mounted games in his early teens and sold his games pony in order to fund a move onto horses. Noah left home at 16 to go and work with horses and admits the professional input he has had has really helped to develop him as a rider. Todays event was the biggest atmosphere that Sara has taken part in ‘but its just so amazing to be able to ride here as you don’t expect to do it until you get to top, top level.’ Sara came for the weekend with her parents and boyfriend to support her. She trains with Fred Bergendorff. Sara is an equine osteopath but she has always produced her own horses and quite a few ponies as well to sell on. This is how Sari came along, but as she got better and better she has ended up staying. Sara takes a great amount of pleasure in producing ponies and small horses. The plans for Sari for the rest of the season are not laid in stone with either a choice of doing a Pony 1* with another rider or Sara will take her to do a 1* depending on whether she wants to give the ride up or not. Thoughts for the future are already looking at moving to Intermediate next season and possibly the Novice Championships at Gatcombe. 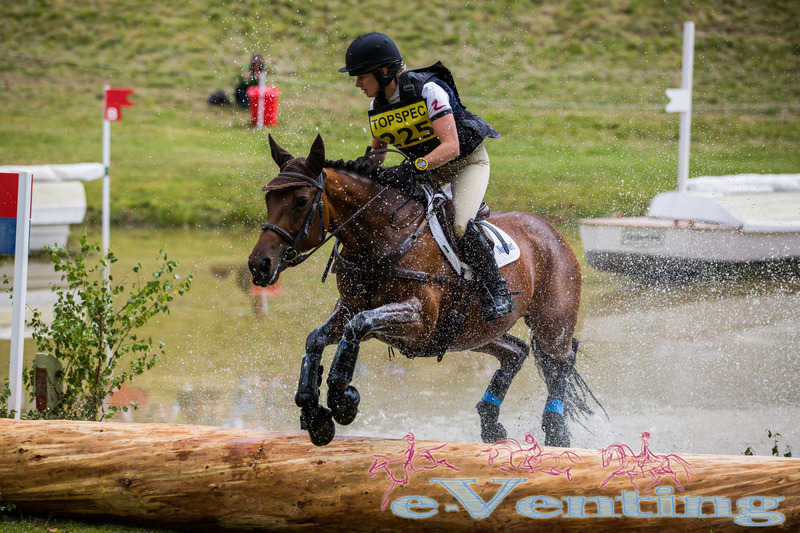 Sara said that coming to Gatcombe for the Corinthian Cup had given her a taste of what it was like to compete at the Festival of Eventing and then to look to make the next step with looking to qualify for the Novice Championships. 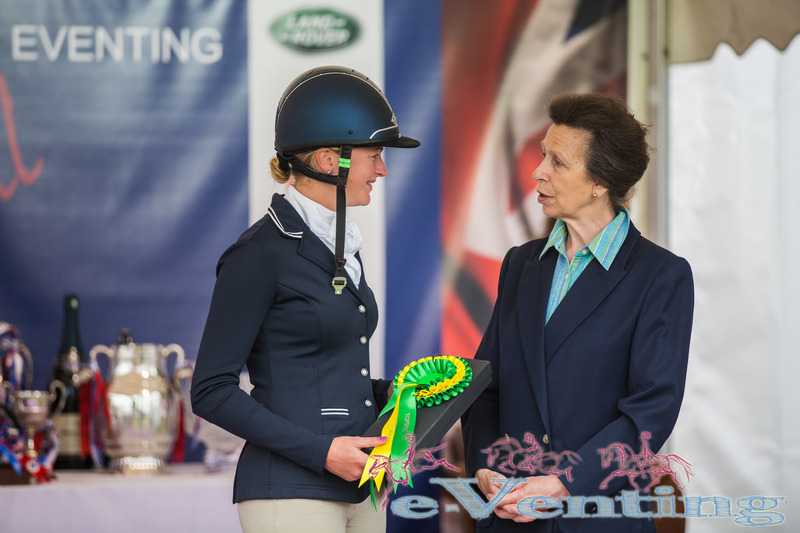 In third place was Cathrine Taylor on Lynn Ferguson’s mare Lorelei. They finished on a score of 34.4 and moved up from 8th place by virtue of their double clear inside the time. 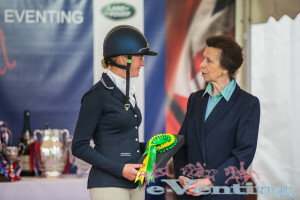 Earlier in the season Cathrine was 3rd at the Badminton Grassroots Championships and came to Gatcombe on the back of several good placings at Novice. Overall the cross country was pitched at the right level for the first year of this competition with the undulations and crowds expected to do their work. The course felt like it was pitched at Novice level rather than being closer to 1*. Distances between the technical elements were generous and everything was on a straight line rather than testing riders with curving lines. 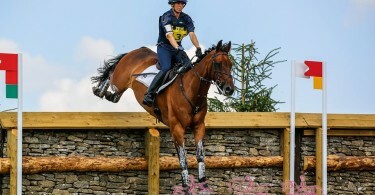 The most influential fence was that of the water jump which was positioned more generously than those of the other classes as it did not come downhill into the crowds. Some horses were finishing looking tired as some riders had perhaps not prepared for the hills and undulations of Gatcombe enough but this will probably be remedied as riders understand what is required more. Overall the series felt like an amazing opportunity for riders and they all seemed to relish the experience. The class was one of the largest over the weekend and the parameters for qualifying feel correct and it feels like it will be a good stepping stone for riders to go onto the next levels. A New Invention: the Tapestry Comfort Girth?